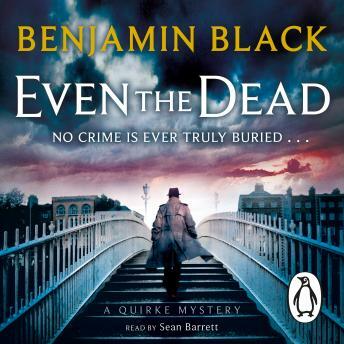 Penguin presents the unabridged, downloadable, audiobook edition of Even the Dead by Benjamin Black, read by Sean Barrett. Pathologist Quirke works in the city morgue, watching over Dublin's dead. The latest to join their ghostly ranks is a suicide. But something doesn't add up. The victim has a suspicious head wound, and the only witness has vanished, every trace of her wiped away.